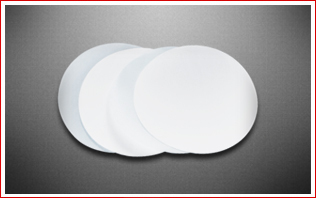 CN Membrane Disc Filters are hydrophilic, non-media migrating, biologically inert plain white absolute membrane filter. CN Membrane is recommended for most routine application involving particles cells from 0.1µm to 8.0µm. Suitable for aqueous and protein filtration. Media – Cellulose Nitrate with black grid, Individually packed.